It's easy for our customers to keep track of their spend and attribute expenses to specific clients. Users can either pay for orders at the point of purchase, or deposit funds up front - from which the cost of orders is deducted. To add funds to your account, log in to the dashboard and click "Money" in the left hand navigation. 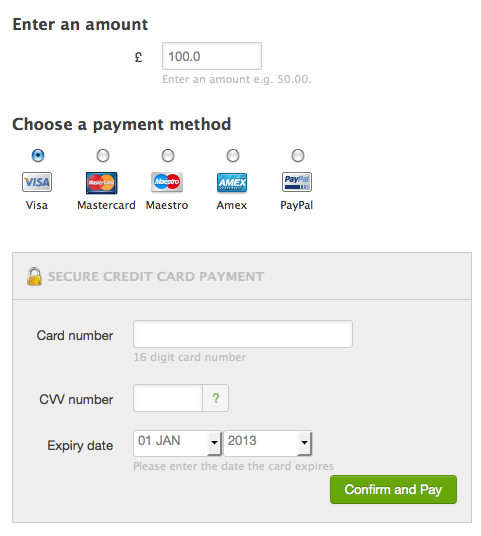 You can pay with credit or debit card, or use your PayPal account. All payments are inclusive of any applicable taxes. Tip: If you need to place frequent orders, add credit to your account first to save the hassle of entering payment details each time. 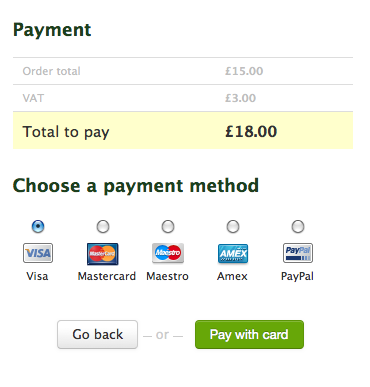 You can download a receipt for each payment you make. 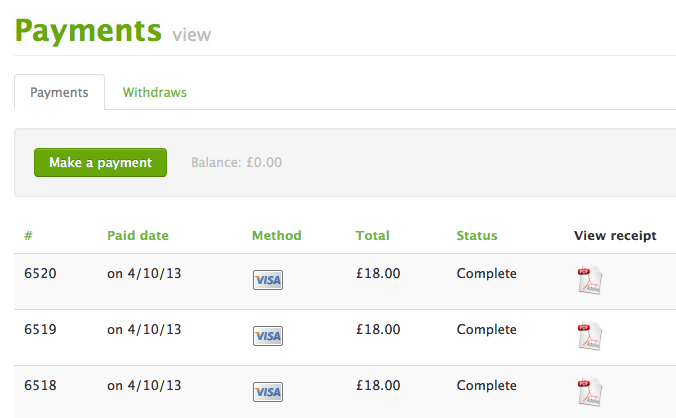 In the 'Money' section of your account, you can find a list of payments and download PDF receipts for each one. This receipt includes a full breakdown of the payment, including VAT. You can export a list of all of your orders, and the costs associated to them by navigating to 'Complete' in the orders section and then selecting an option from the export dropdown. 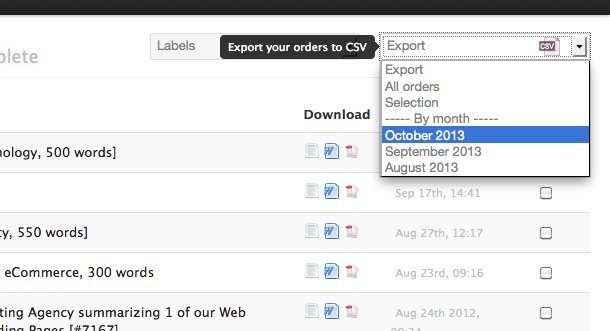 You can also categorise orders by client, or other variables using labels and then export this data as a CSV file. 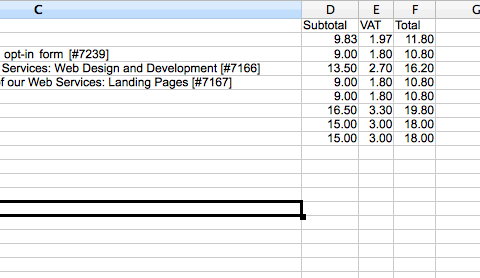 Orders placed through our UK site are by default subject to VAT at the current, standard rate. Non-UK, VAT registered companies within the EU can use Copify tax free, providing they supply us with a valid VAT number before placing an order. 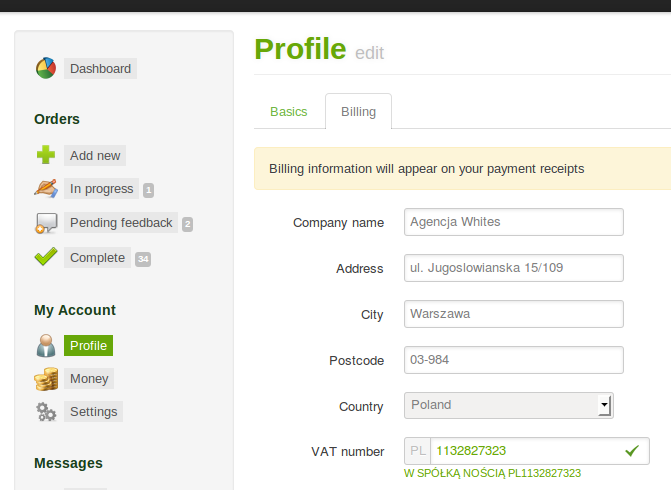 This can be entered in the 'Billing' tab in the 'Profile' section of the dashboard. Please note, we cannot offer rebates to companies who have placed orders before entering this information.